Can you believe that summer is half over? July has been so busy for us and it went by in just a blink! In the last two weeks we’ve celebrated our anniversary, my folks came to visit, my niece got married, my birthday and now my niece is here for a week’s visit! Summer will be over before we know it so I thought I’d put together some of my summer grilling favorites that are a MUST try for grilling season! 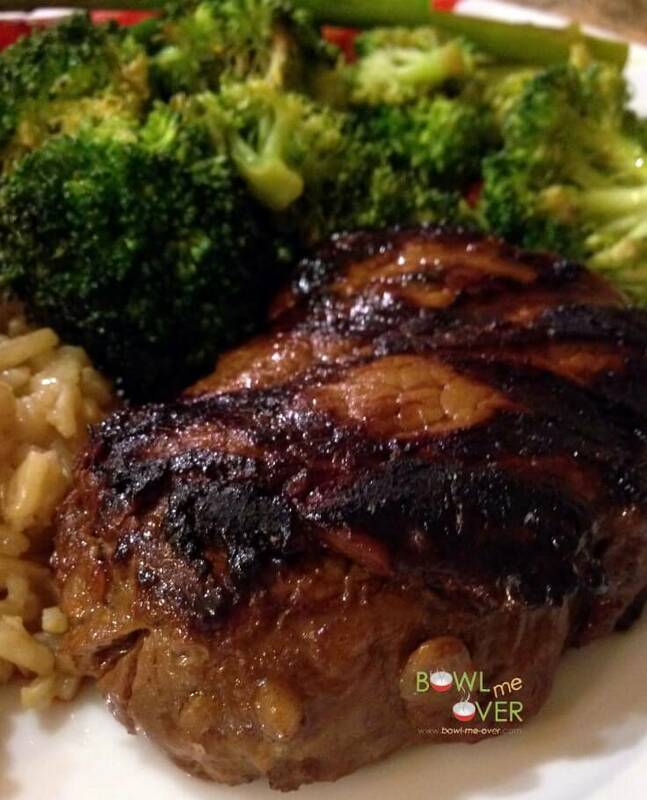 First up is an easy Teriyaki Marinade. Souper fabulous, souper easy this is hands down the BEST Teriyaki Marinade ever. And on a filet? Heavenly, you should definitely give this one a try! This was one of my first posts and it definitely needs to be shared again. 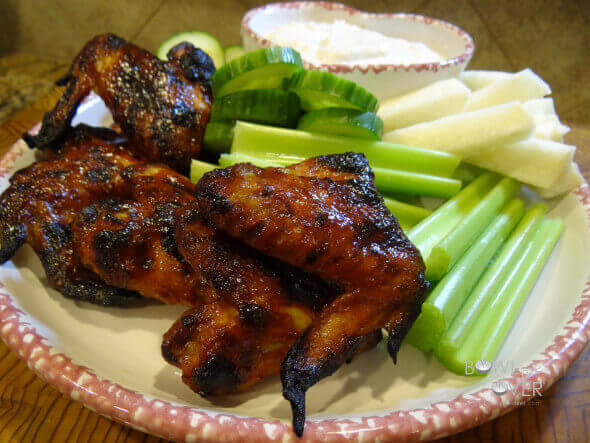 If chicken is what you have a hankerin’ for then how about grilling up some chicken wings? Another easy & fabulous recipe and paired up with this Blue Cheese Yogurt Dipping sauce? Outa this world! Perfect for a crowd and easy on the grill (or indoor grill too!). Love a great chicken wing! Living in the Midwest for years taught me that no cookout is complete without some brats! 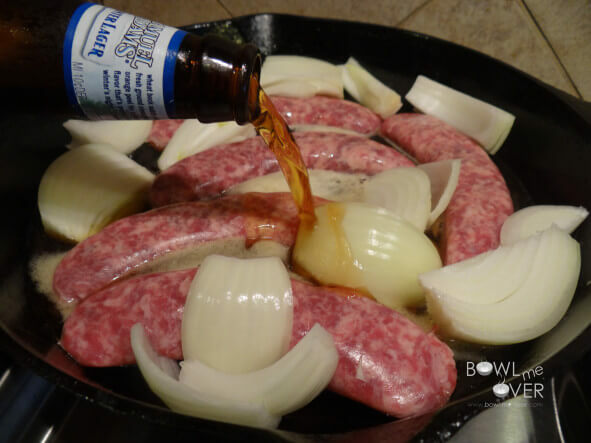 Whether I’m tailgating or grilling up in the backyard, I love a good beer brat! Who’s with me? 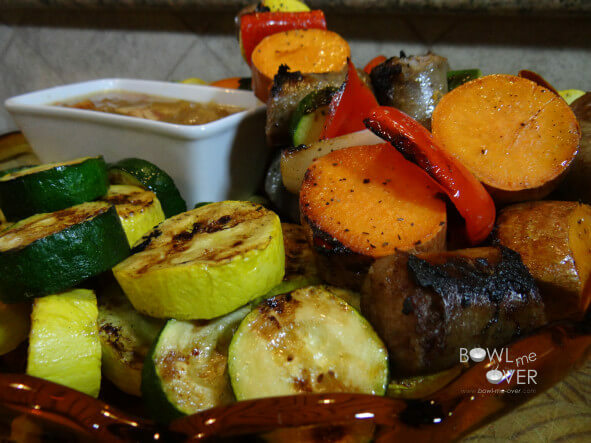 This one is a favorite – sausage kabobs with sweet potatoes & zucchini are a great combination and the onion sauce is outa this world! If you have a vegan or vegetarian in the house, I have something for them too! 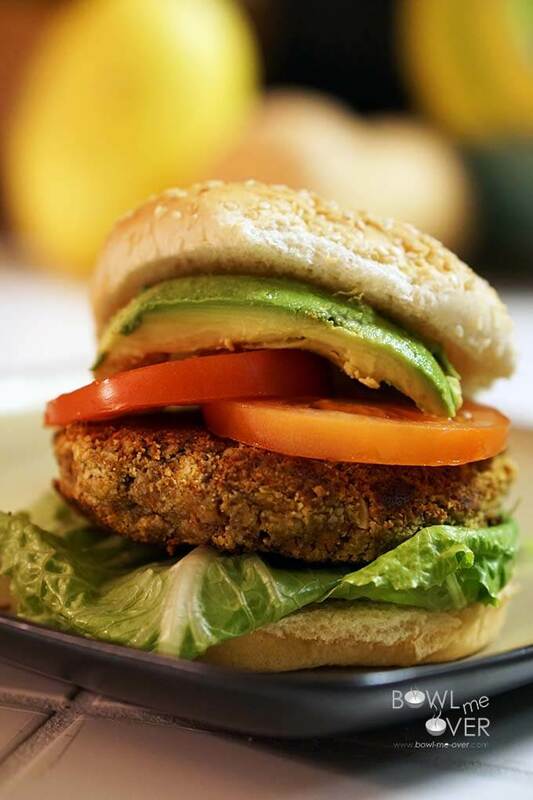 Vegan Nut Burger is super easy and has great flavor! Or…because this is so yummy…. 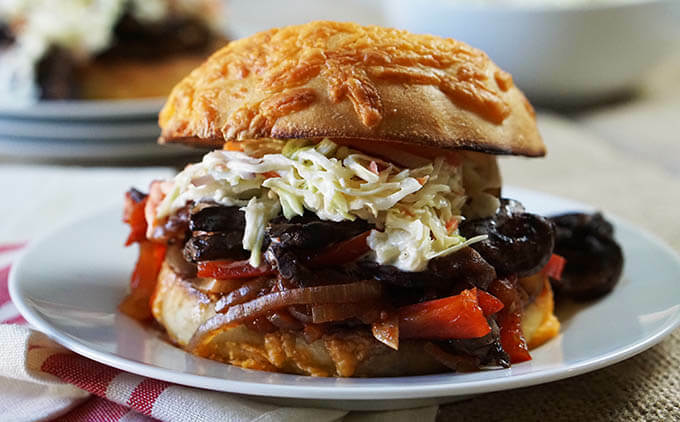 You can break out your slow cooker for an easy and oh so fabulous Slow Cooker Mushroom Burger! My friend Mary emailed me recently about this one and said she couldn’t believe how easy and deliciously flavorful this simple burger is! Something for everyone today – so if you like beef, chicken, sausage or veggies there’s a great meal to toss on the grill! 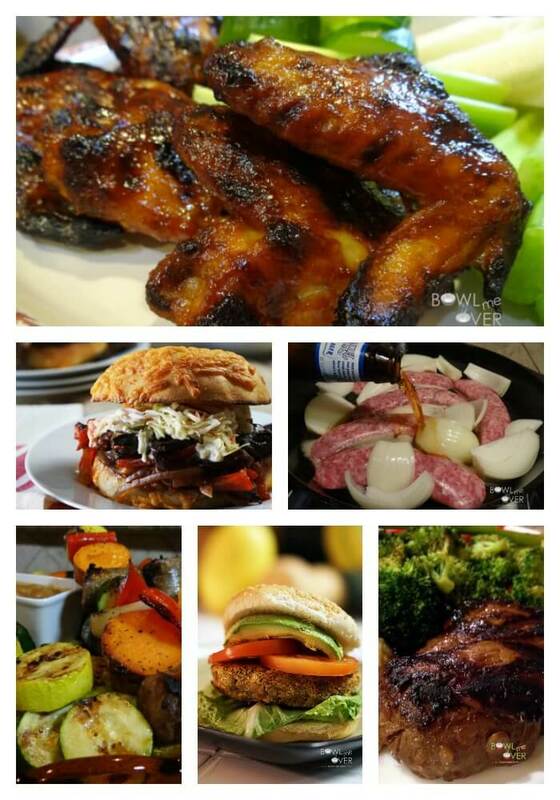 I would love to hear what you think of some of my Grilling Favorites – make sure to leave a comment and let me know! Have a GREAT weekend!!! Debra, thanks so much for all of these great grilling ideas. We have never grilled out more than this past year and 99$ of it has been on our 18″ charcoal grill. Looking forward to trying all of these soon! BTW, try parboiling the brats in onions and beer and then marking on the grill; that’s the cheesehead way of doing thing here in Wisconsin, aka Bratland, USA!